From The Wolf of Wall Street and Winter’s Tale, to Inside Llewyn Davis and Ricki and The Flash, Westchester County is no stranger to the big screen. But what you may not know is that Westchester offers world-class backdrops for businesses to film their commercials for the smaller screen. The production also called for scenes at a train station, and a baseball field, also available in Westchester. 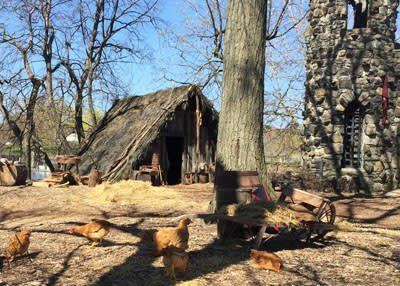 Larry Horodner, location manager for the Optimum shoot, had this to say: "From scouting to permitting and filming on location, working in Westchester was a smooth-running and positive experience. Everyone loved the location—which has a lot to offer creatively, and logistically. I plan on coming back to Westchester." 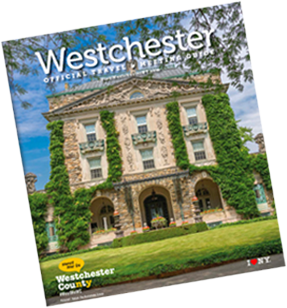 In addition to the county’s prime location and film-friendly towns, a major reason to film in Westchester is the wide range of looks available, adds Karpeles, who has filmed everything from urban downtowns and suburban streets to farm animals, waterfalls, and romantic bridges—all in Westchester. His commercial projects include a yoy commercial at Ardsley’s House of Sports; a lightbulb commercial at Ward Pound Ridge Reservation; a PSA with Mariano Rivera at Yonkers’ Tibbetts Brook Park; a NBA commercial set in Maine but filmed at Peekskill’s Bear Mountain Bridge; an election commercial for a political candidate at locations throughout the Westchester which represented locations all over New York State. For more information on filming in Westchester, contact us. The Tourism & Film Office in Westchester County is a division within County Executive Robert P. Astorino’s Office of Economic Development.